Multi-ligament knee injuries present a wide spectrum of pathology involving a combination of the cruciate(s) and collateral(s). 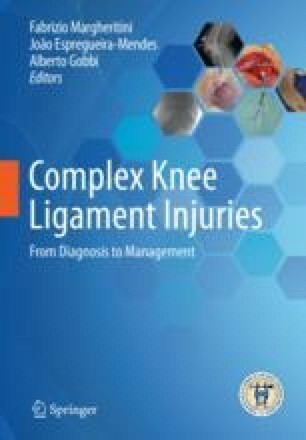 This chapter will focus on one specific injury pattern: combined posterior cruciate ligament and posterolateral corner injury. It will briefly discuss the anatomy and function, history, physical exam, and diagnostic tests that should be considered. The remainder of the chapter will discuss the management of these injuries. The authors’ preferred surgical technique will be outlined in a concise, step-by-step approach with picture illustrations. Declaration of conflicting interests: Carola F. van Eck, M.D., Ph.D.: no conflicts of interest. Mohsen Hussein, M.D., Ph.D.: no conflicts of interest.